14-year-Old Terminally Ill Girl Wins Historic Legal Battle! Terminally ill girl wins historic legal battle! Jim Valvano once said, “Cancer can take away all of my physical abilities. But, it cannot touch my mind, it cannot touch my heart and it cannot touch my soul.” A 14-year-old girl who was terminally from a rare type of cancer justifies this quote by her extraordinary decision. The girl who perished in October, wanted her body to be cryogenically preserved, in case she can be cured in future and she won the legal battle which was indeed historical. She explained in her letter to a judge that she wanted to ‘live longer’ and do not want to be buried underground. Her mother was in complete support of this decision as compared to her father who had his doubts about this procedure. Eventually, the High Court ruled that the girl’s mother would be the one to take this final decision. 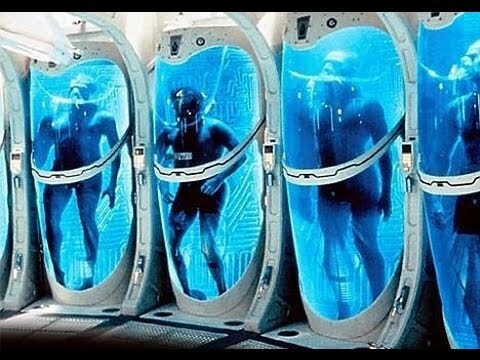 ‘Cryogenics’ is a rare form of scientific procedure which comprises of preserving a whole body in the hope that resuscitation and a cure are possible in the near future. This is a highly controversial procedure and no conclusive evidence is yet present about this procedure’s success. Bodies are preserved at very low temperatures in liquid nitrogen (less than -130C). In this case, the cost of preserving this girl’s body came around £37,000. This teenager from London, who cannot be named, was researching about Cryogenics in her last days. She wrote a soul numbing letter to a judge regarding her dire situation and her reasons behind opting for this contentious process. "I have been asked to explain why I want this unusual thing done. I am only 14 years old and I don't want to die but I know I am going to die. I think being cryopreserved gives me a chance to be cured and woken up - even in hundreds of years' time. I don't want to be buried underground. I want to live and live longer and I think that in the future they may find a cure for my cancer and wake me up. I want to have this chance. This is my wish." Her innocence and courage was pretty evident from the letter which made this judge to look into this matter more closely. He followed her medical records, reviewed her file and finally decided to rule his decision in the girl’s favor. As it is rightly said, “Hope is a good thing, and no good thing ever dies”. We can just hope that in the distant future, a cure is found which might bring her back.